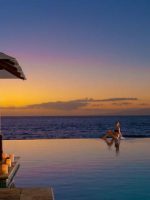 This beachfront condominium property is ideally located in the luxury resort community of Wailea. 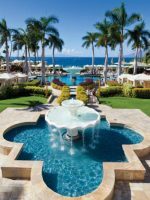 It is located just next door to the Fairmont Kea Lani and towards one end of the Wailea Coastal Walk. The beach and pool are just a short elevator ride from all of the two-bedroom units and you really can’t beat the sunset views from any of the units either. 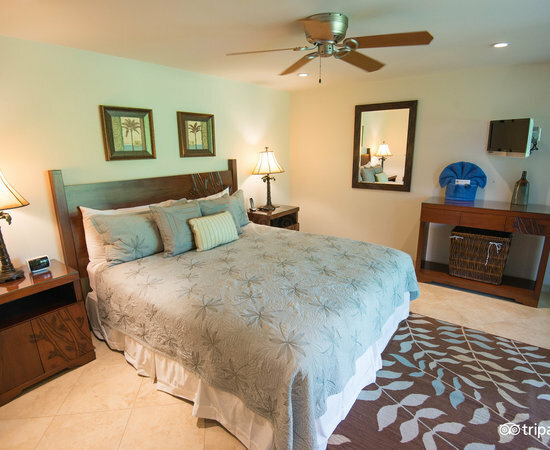 Each of the vacation rentals offers families a living and dining space and a fully equipped kitchen and washer and dryer. 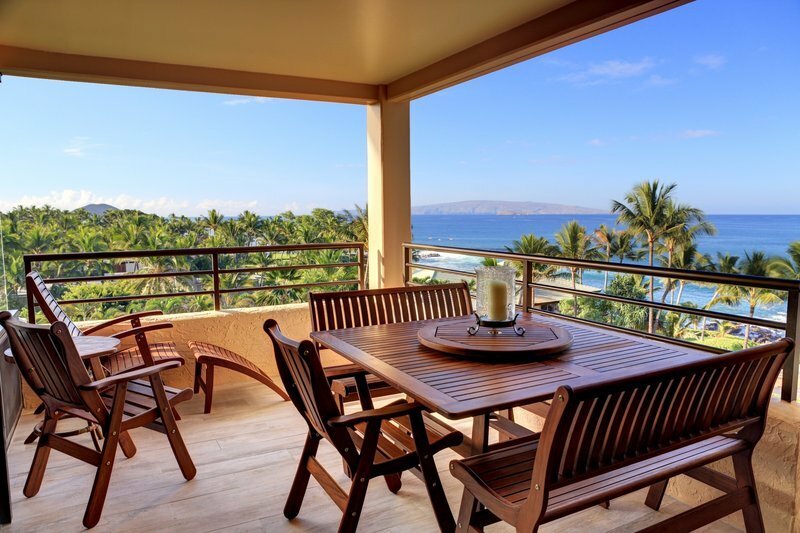 These Hawaii condos have everything you could possibly need and plenty of space for families to spread out. When you want to be as close to the beach as possible, but don’t want to feel cramped in a hotel room, the Polo Beach Club is an outstanding choice. 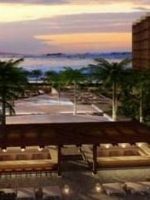 There are 71 privately owned vacation rentals available within the Polo Beach Club high-rise building. 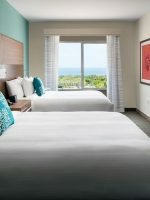 Each is individually decorated with a variety of tastes, but all have impeccable oceanfront views. Complimentary Wi-Fi can be found in each unit. 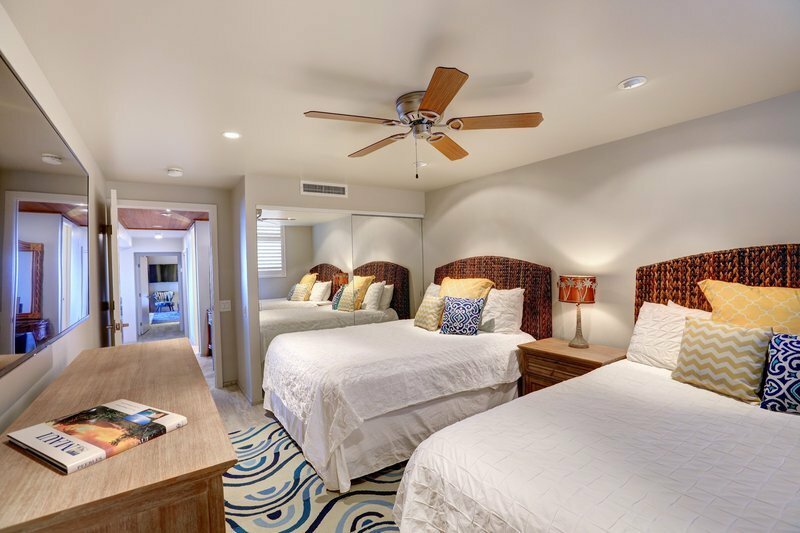 All of the two-bedroom units feature a large separate living room (some with a sleeper sofa) and dining area, private lanai with chairs and/or a table, a fully equipped kitchen with full-size refrigerator and dishwasher, air conditioning, flat-screen televisions, hairdryers and a washer and dryer. The master bedroom has an ensuite bathroom and the second bedroom can feature one or two beds depending on the unit. 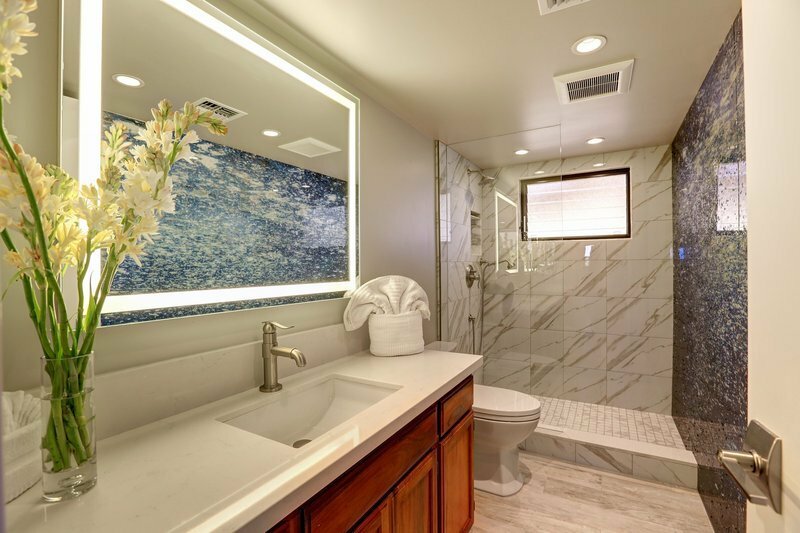 There is a second bathroom as well. Daily housekeeping services are provided throughout your stay. Great location and room met all our expectations. Beach front was just outside our unit. Rented at spring break which was quite busy and the4 beach was very crowed. Will look at other times besides spring break . Great time at Polo 207! We stayed in unit 207 and had a great time. Breathtaking views from the unit and lanai, right on an uncrowded beach, and the unit was reasonably up to date and clean. Walking distance to fabulous restaurants. We had an excellent time and would stay there again! This beachfront property allows all guests to be a short elevator ride away from the white sand and blue waters of Polo Beach, which lays directly in front of the property. 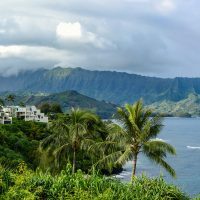 The beaches in Hawaii are all public so it’s not a private beach, but it often feels like it because the property is nicely tucked away. Many of the units provide beach chairs and towels. There are no lifeguards on duty here, but the surf is somewhat mild on most days. The outdoor pool, which requires a key to enter, is just steps away from the beach. Lounge chairs and a few umbrellas surround the pool and a patio area just outside the gated pool offers more lounge chairs. Tons of grassy lawn space surround the area as well, making it a great place to play lawn games and run around. Built-in BBQs can be found nearby, along with a hot tub. Pool towels are provided inside the individual units. Board games, books, movies and more are in most of the units waiting for families to enjoy. Since all of the units at this property feature fully equipped kitchens, there are no onsite restaurants. However, families can also use the built-in gourmet BBQ grills in the common area by the pool and lawn. Complimentary Wi-Fi is available in each unit. Free parking with a supplied parking permit is available in a lot and underground parking garage. While these are condo units, daily housekeeping services are included in your stay. Each unit has its own washer and dryer with laundry detergent that guests are welcome to use. December to February can be rainier and cooler, with highs in the 70’s and 80’s, but this is also the busy season. 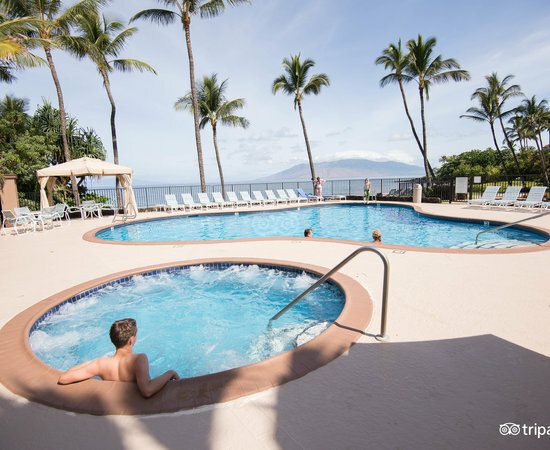 June through September are the hot months, with highs in the high-80’s during the day.The quiet months on Maui are mid-March through May and all of September. The Kahului Airport, the main airport on Maui, is situated about 30 minutes from the property. 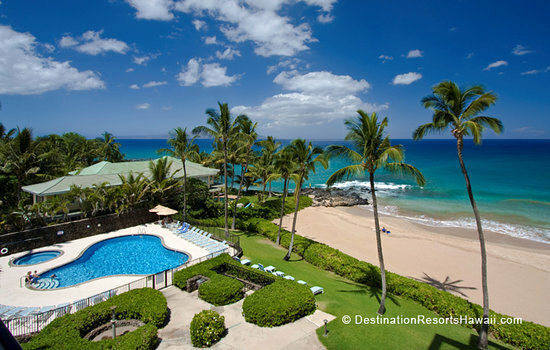 A rental car is needed if you plan to leave the property or want to explore outside of Wailea. Taxis, while expensive, are readily available at the airport. 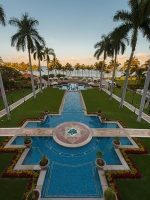 The Wailea Coastal Beach Walk is steps away from the property and gives great access to the beach and luxury resorts that line the walk.